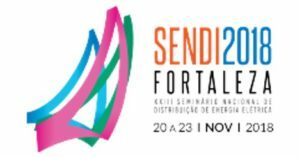 Valid is attending the 23rd National Seminar on the Distribution of Electricity Power (SENDI 2018), from November 20 to 23 in Fortaleza, Ceará State, Brazil. There, Valid is presenting its secure and innovative solutions to manage data of customers of electricity companies. With the aim of promoting the exchange of experiences between electricity distribution companies, fostering new ideas for the maintenance and development in the quality of services provided, Abradee holds, every two years, the National Seminar on the Distribution of Electricity Power (SENDI). The event is an opportunity to discuss trends in our industry, such as digitalization, e-mobility, customer relationship and the regulatory model. Centro de Convenções do Ceará – Fortaleza/CE – Brazil. Booth #97.